Maryam Nawaz and her husband Captain (retired) Safdar Awan will most probably file an appeal against Avenfield verdict against them on July 16, 2018. An accountability court has sentenced Maryam Nawaz for eight years in prison and fine of £2-million, and her husband Captain (Retd) Safdar to a year in prison. Nawaz Sharif is also sentenced to a total of 11 years in prison and slapped with a £8 million fine. Nawaz and Maryam arrived in Pakistan on the evening of 13th July 2018, where they were arrested upon their arrival and shifted to Adiala Jail. Capt. (Retd) Safdar was arrested earlier on July 9. Maryam Nawaz’s appeal against Avenfield verdict has been drafted and her legal counsels will visit the Adiala jail shortly to get the power of attorney signed by Maryam. According to the sources, the appeal against Avenfield verdict asks for the accountability court’s decision to be declared null and void. 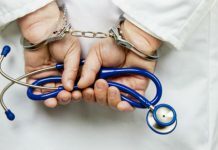 It highlights the legal flaws in the verdict. The appeal against Avenfield verdict asks for Captain (Retd) Safdar’s sentence to be suspended till a decision on the petition seeking the accountability court’s verdict to be declared void is reached, sources said. The trial of corruption cases against Sharif family had started on September 14, 2017. 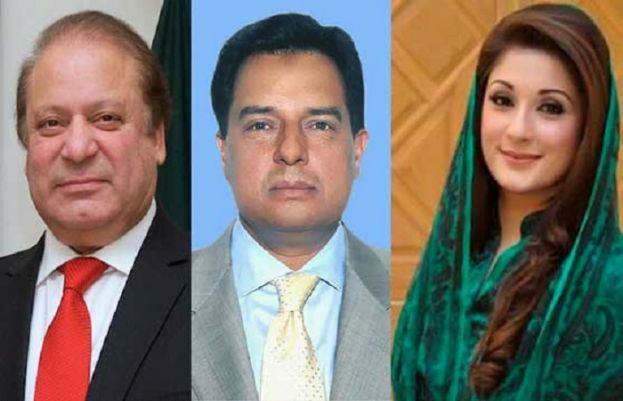 Nawaz and his sons, Hussain and Hasan Nawaz, are accused in all three references whereas Maryam and Safdar were accused in the Avenfield reference only. The two brothers, based abroad, have been running away since the proceedings began last year and were declared proclaimed offenders by the court. On July 10, the Supreme Court granted six-weeks more extension for Judge Mohammad Bashir to conclude the corruption references against Nawaz and former finance minister Ishaq Dar.